If you have seen my Facebook page you will know we have badgers visit in the garden most nights and that I film them. There are at least 7 individual animals, though usually the maximum to be seen at any one time, in any one part of the garden, is four. The way I film is using a cheap and cheerful 3 wireless camera cctv system with a 9 inch LCD monitor to view. The monitor is in our kitchen. We can also view either recordings or live on phone and tablet. We have been doing this for about a year. I have since decided that I wanted to be able to livestream video of the badgers to this website so anyone anywhere can watch live pictures. But I didn’t want to spend lots of money or drill holes in walls or have extra cables running into the garden. The solution I came up with was to buy an IP Camera and film the monitor. The badgers are, of course, nocturnal…so can usually only be seen at night. 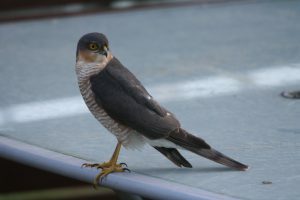 They have been arriving in the garden at anywhere between about 9 and 11 pm, often staying for a few hours. There are several “families” and they seem to take it in turn to arrive & depart. The monitor will display images from the 3 cameras in a number of ways- it will show one camera feed for some seconds, then move on to the next feed, then the third etc. This means you can only get to see one camera’s pictures for a few seconds before it moves on. Or, it will show all 3 feeds at the same time- but each feed takes up a quarter of the screen…so viewing on a phone or tablet is more difficult because the pictures are small. I am trying both methods. Which one you get to see will depend upon a number of factors- if you want to comment then feel free to do so, either via the Blog page on this site or by email- see the Contact page. They sometimes are reluctant to visit if it’s raining hard! However, mice-and cats -can still often be seen whatever the weather. I would like to thank the tech support team (especially Chris and Alex) at spycameracctv.com in Bristol for their help and advice. That is from where I bought the cameras. Here is the link to the camera filming the monitor which is showing the badger cameras. If no livestream is available you may get either a blank Youtube screen or a recording of a previous livestream. It is worth checking the timestamp on what you are viewing. Occasionally there is a message about YouTube removing the video because of violations. Wrong! It’s because I deleted the previous livestream recording from my channel- so there is nothing there. If I didn’t delete the previous evening’s livestream it should be there- many hours of it. You can fast forward through it as you would any other video. Refreshing the page in your browser can also sometimes help. Dec 8th 2018 I have stopped the livestreaming for a few weeks. Badgers still visit most nights but I am hoping it’ll be more worthwhile watching later in the New Year (maybe February or March, depending upon when cubs are born). March 9th 2019 Pregnant badger has stopped visiting recently- hopefully she is safely in her sett and having/nurturing cubs. Three separate badgers are regular visitors at present. Two come under the gate at the side (camera 2) and one comes from the field (camera 1). All three wander around the main lawn (camera 3). Live feed is not on yet. Recordings can be found at my Facebook page (see link at start of this page). April 8th 2019 Still two (male, I think) different badgers visiting in the early hours. One comes from the field direction, the other from the road direction. No fighting. They are sometimes together on the main lawn. Local cats visit the garden but are wary- the badgers ignore them.